Hardcover, 7.5 x 9.5 in. / 288 pgs / 350 color. 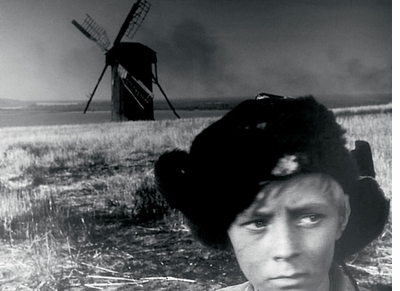 This new smaller-format edition of a 2012 publication was compiled and edited by Tarkovsky's son Andrey Jr., along with film historian and critic Hans-Joachim Schlegel and Lothar Schirmer. 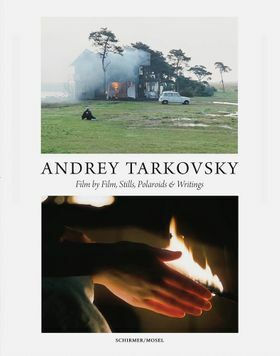 Beautifully designed and printed, Andrey Tarkovsky: Life and Work pays homage to a great visionary who produced poetic and sometimes disturbing images of near biblical intensity through his films. 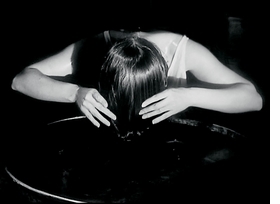 Featuring stills from each of his films, a selection of his influential writings, private photographs from the family album, as well as Polaroids from Russia and Italy, it is buttressed with comments from prominent voices who have commented on Tarkovsky's work and personality, including Jean-Paul Sartre, Ingmar Bergman and Aleksandr Sokurov. FORMAT: Hbk, 7.5 x 9.5 in. / 288 pgs / 350 color.